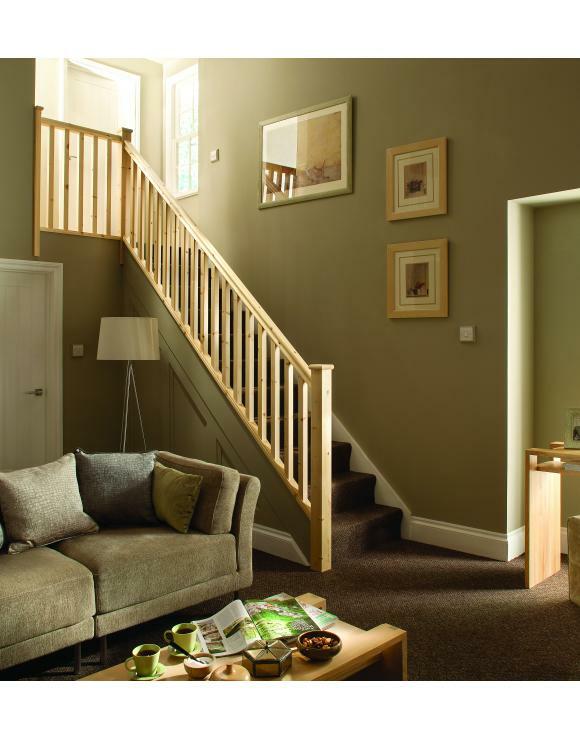 Our traditional Benchmark stair spindles will give your staircase a contemporary look. 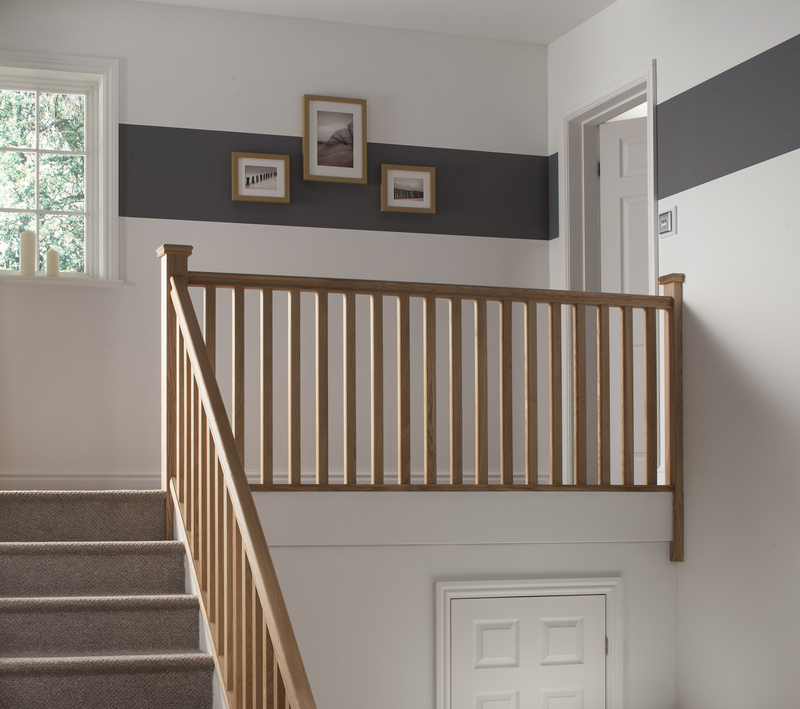 The Plain Square range of stair parts spindles feature 41mm spindles and 90mm or 82mm newel posts in a choice of 5 different timber types each style offering a distinctive look for your stairs. White Primed – Timber core with high grade primer applied ready for top coat of paint. 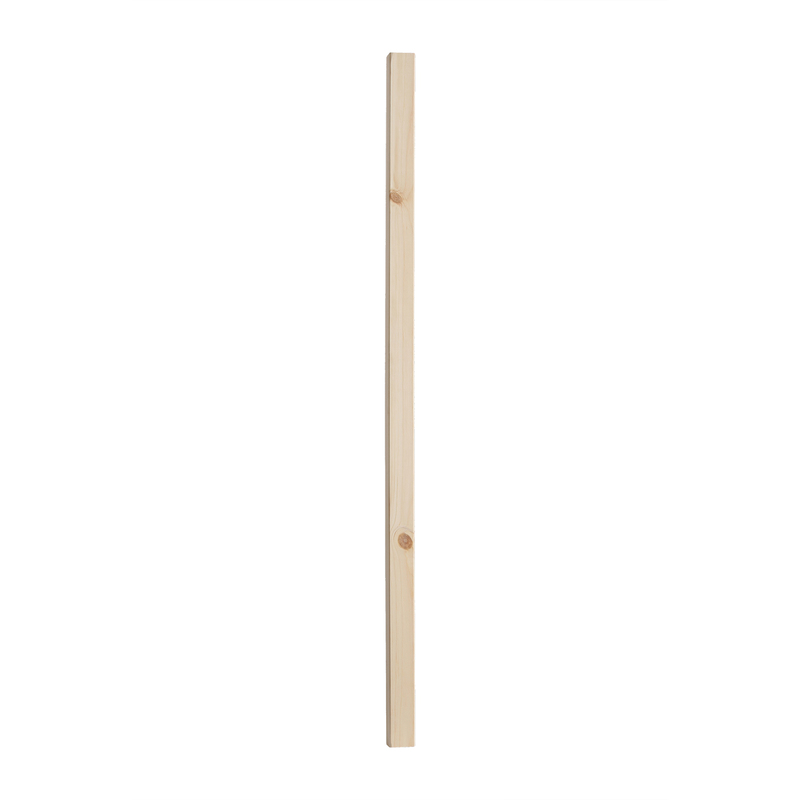 White Oak – Hardwood. Light brown clear timber with very small knot if any. Will turn golden brown when finishing in either oil, stain or varnish. 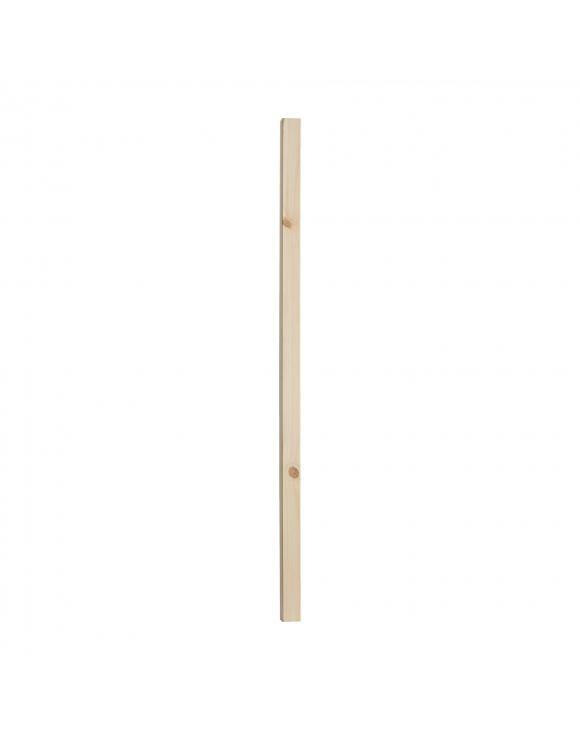 Our ranch of Benchmark Spindles are available in the following sizes. Please your required size. Then use our free planning software “Plan Your Stairs” to help you decide what you need, send in your details and we will supply you with a quote. 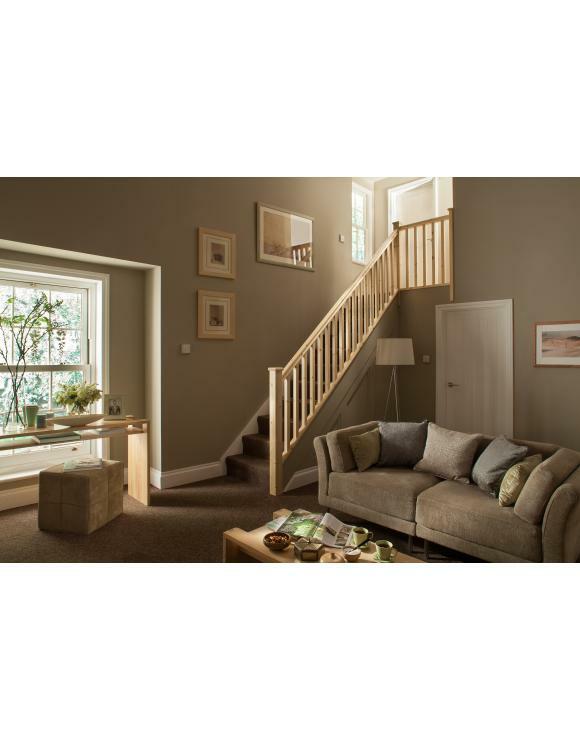 Our spindles are supplied in two sizes. 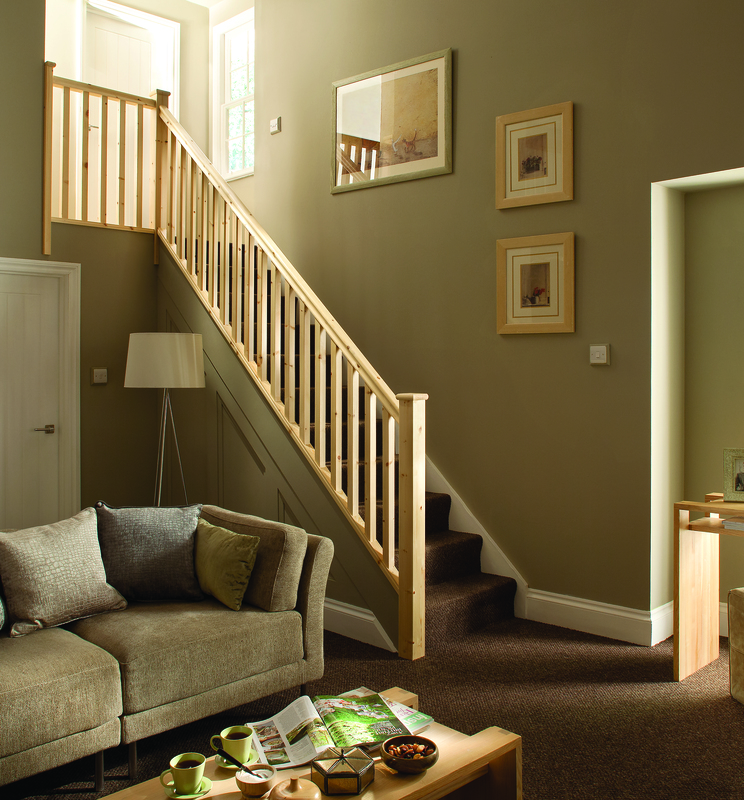 The 900mm spindles are used on both closed string staircases and landings. 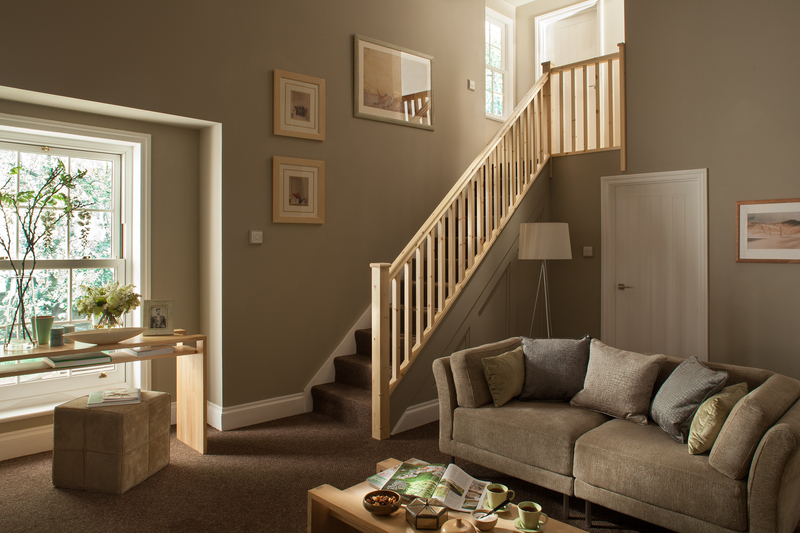 The 1100mm spindles are used on cut string staircases so that you have one 900mm spindles and one 1100mm spindle per tread. 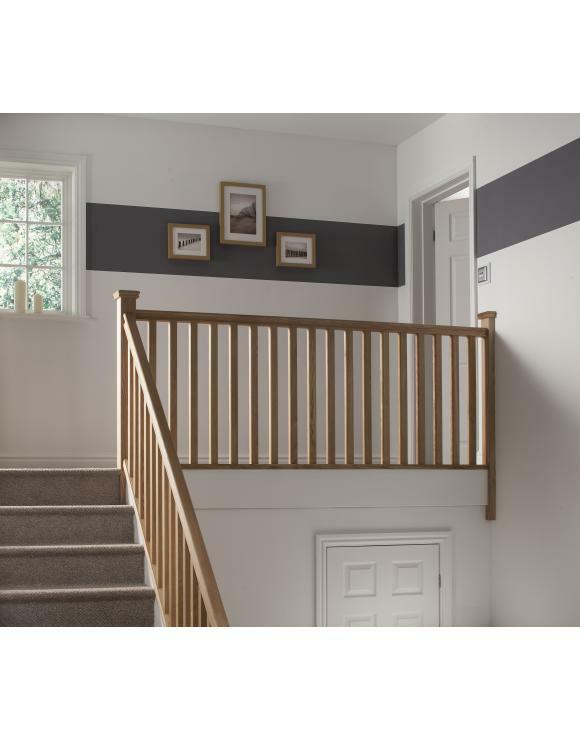 Spindles should be fitted to the handrails & base rails by gluing and cross pining them before installing the fillets/ spindle spacers between each of the spindles. N.B. All our handrails and base rails are supplied with spindle spacers. Current building regulations state that a sphere of 100mm diameter should not be able to pass anywhere between two spindles. Spindles should not be spaced more than 99mm apart between the narrowest parts of the spindle. To calculate the number of spindles required use the following.